On March 14, 2011, Flaherty NYC presented “Psychogeographies,” a program of four 16mm films about places that are simultaneously real and imagined: Central America as a geopolitical construct (Kathryn Ramey’s Yanqui WALKER and the OPTICAL REVOLUTION, 2009), nature as nostalgic refuge (Jason Livingston’s Under Foot & Overstory, 2005), and 1920s Berlin as psychic playground (Joel Schlemowitz’s Weimar, 1996). All of the films couple an interest in physical geography with a kind of psychic geography, which I refer to as psychogeography (after the work of Guy deBord, Iain Sinclair, and others). These films also occupy a curious temporality, allowing them to reference the past and present simultaneously. 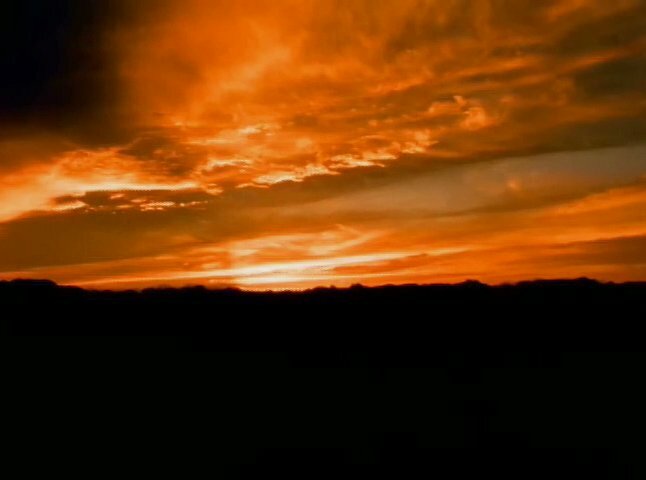 The fourth film in the program (Tombeau, 1994) is a brief memorial to a departed friend, standing in defiant resistance to the inevitable flow of time and loss. Appropriately, these filmmakers use an artistic medium (16mm film) that highlights ideas about temporality and physicality. The following essay is based on interviews conducted with the filmmakers. Question: What do a psychic and a cartographer have in common? Answer: They both specialize in projections. 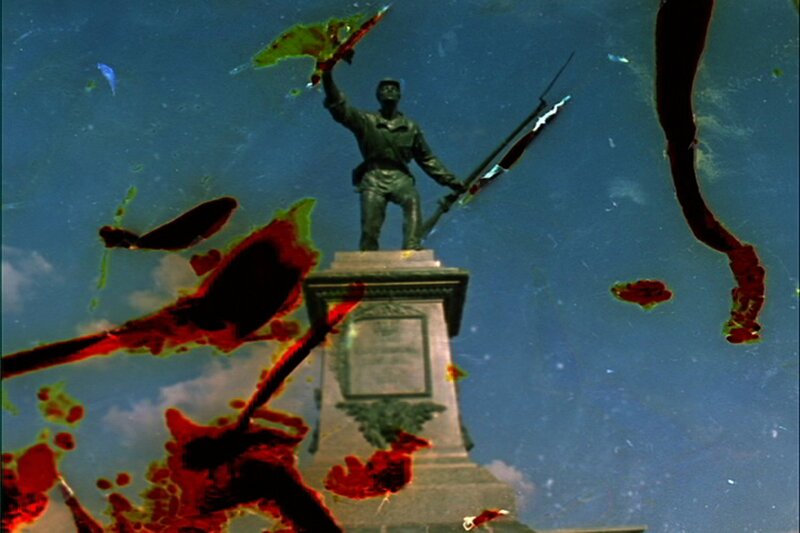 Kathryn Ramey’s gorgeous essay film Yanqui WALKER and the OPTICAL REVOLUTION (2009) uses first person narration, old educational films and hand-processed 16mm footage shot in Nicaragua, Costa Rica and Honduras to tell the story of William Walker. Walker, a native of 19th century Tennessee, led several rogue military campaigns into Central America (a practice known as “filibustering”) to establish despotic rule for himself and slave-holding territories for America. Walker is forgotten in the States, but Ramey’s film shows the way the lingering shocks of his actions live on as a trail of markers – both physical and psychic – imprinted on the geography of Central America. Ramey’s insistence on her own limited vision is neatly paired with a series of clips from educational films that explore scientific concepts of vision. In an odd coincidence, it turns out that Walker was a medical scientist who studied the human eye (before becoming a psychotic dictator). In an interesting reversal of conventional cinematic signature, the archival images in Yanqui WALKER are relatively pristine, appearing “newer” than Ramey’s own travel footage. This is because she hand-processed her Central America footage in buckets and then re-photographed (optically printed) the entire film. Ramey shares that “[a] colleague compared this act to dangling my footage over a cliff, but I didn’t see any other way to go about things. I wanted to resist the beauty and seduction of the touristic image of the Other . . . I wanted to destroy the perfection of these images before I even got a chance to see them.” The resulting riot of scratches, dirt and bubbled emulsions adds an aged quality to the footage that muddles the temporality of the film. About halfway through of Yanqui WALKER, we travel to Granada, Nicaragua, where Walker declared himself President on July 12, 1856; where director Alex Cox filmed his 1987 Hollywood biopic Walker; and where tourism appears to be the main industry today. “Evidence of Walker is everywhere here,” Ramey tells us as we visit a building he once used as military command center, now repurposed as Spanish language schools for tourists. This geography of adaptive re-use signifies how Walker’s eventual defeat marked the end of America’s military expansionism and the beginning of the “neocolonial” era. Not long after Walker’s death, another American named Minor Cooper Keith came to Costa Rica to start the very first commercial banana plantation. Jason Livingston would probably second that last sentiment. His Under Foot and Overstory (2005) features a dazzling jumble of sumptuously photographed flowers, butterflies, bees and trees. Like Yanqui WALKER, Under Foot & Overstory occupies a mixed temporality: to Livingston, it is set in “an ongoing present, one in which our sometimes real, sometimes imagined loss of nature constitutes what it is to be alive right now.” The film concerns Hickory Hill Park, a 185-acre nature preserve in Iowa City, Iowa. The gorgeous images of the park are set to the sound of a meeting of the Friends of Hickory Hill Park, who have organized to protect the Park against encroaching development and “high impact” use. In this meeting, they come together to draft their mission statement. For at least three and a half hours (according to Livingston), the Friends argue, ponder and digress their way to consensus. This is an arduous process that plays as both brutally boring and wryly comic when paired with Livingston’s playful, impulsive editing of nature cinematography. The monotonous sound of the Friends writing their mission statement (“So much talking!” says Livingston) also sets up a juxtaposition with the vibrant, kinetic images of the Park, illustrating a disconnect between the mental and physical geography of nature. Did you know that the prairie was as diverse as the rain forest? To this day, I am still saddened by the great American assault on biodiversity otherwise known as monoculture . . . I very much wanted to participate in making cinema about the environment, and an issue local to where I lived. I began to watch a lot of environmental films, which seemed to share a fundamental trait: something is gone, something will be lost, and we must either mourn or rectify. [So] in so far as the film is about environmental loss, it’s most definitely set in the past . . . My sense is that longing for lost land, which is an evocation of the past, is what makes a nature film. Blink, and it’s gone. It’s gone; what do we do? Perhaps most prevalently: what can we do to hold on to this last little remnant? Joel Schlemowitz is another artist whose work echoes Mekas’ pronouncement of the power of the poetic gesture. In his now-classic film Weimar (1996), Schlemowitz poses some artist friends in a series of charming tableaux on the streets of lower Manhattan. A man wearing a deadpan expression (Gary Goldberg) stares hungrily into a cake-shop window, and then slowly pulls a long tangle of rope from his pocket. Another man, in a vintage top hat and tails (Stuart Sherman), happily sings for his supper in front of a graffiti-covered wall. A ballerina (Alice MacIntyre) gleefully practices pliés in an alley full of garbage cans, unnoticed by passersby. Modern-day Manhattan seems an unkind place for these sensitive bohemian-hobos. The title, Weimar, refers to the vibrant art and intellectual scene nurtured by Germany’s short-lived parliamentary government from 1919 to 1933 – when it was annihilated by Hitler’s ascent to power. Implicit is the film is a critique of (or at least a warning about) the possible fate of Giuliani’s New York in the 1990s. But Schlemowitz suggests that his bohemians are also nourished – even created – by their time and place, even perhaps by their poverty. Schlemowitz also names Rudy Burckhardt’s “somewhat hokey but totally appealing” films as an influence (Burckhardt’s comedic no-budget films also starred artist friends, like John Ashbery and Alex Katz) and Alex de Jonge’s history of Weimar Germany. Ultimately, Weimar offers a loving tribute to the art scene of 1990s New York by conflating it with de Jonge’s vision of 1920s Berlin, by way of Burckhardt’s 1960s New York. Weimar is, in an apt term Schlemowitz borrows from Frank Zappa, “instant nostalgia.” In some ways, none of these places are real; they are all projections. Artists are forever longing for a better place and time – sometimes this desire manifests politically, sometimes poetically, often both. Schlemowitz, of course, knows none of these places are fully real, and that it’s an old cliché to yearn for them anyway. And if the experience of watching Weimar has become more bittersweet over time, particularly because two of its performers (Gary Goldberg and Stuart Sherman) have since died, Schlemowitz’s second film included in “Psychogeographies,” Tombeau for Arnold Eagle (1994), is more purposefully elegiac. A “tombeau” is a musical composition written to commemorate the death of a friend. Schlemowitz created this small film as a tribute to his mentor, WPA photographer and cinematographer Arnold Eagle. Eagle taught filmmaking workshops from his studio, and was the cameraman for Hans Richter and Robert Flaherty. The soundtrack music is a piece by 17th-century composer Louis Couperin (himself famed for tombeaus) played simultaneously backward and forward. 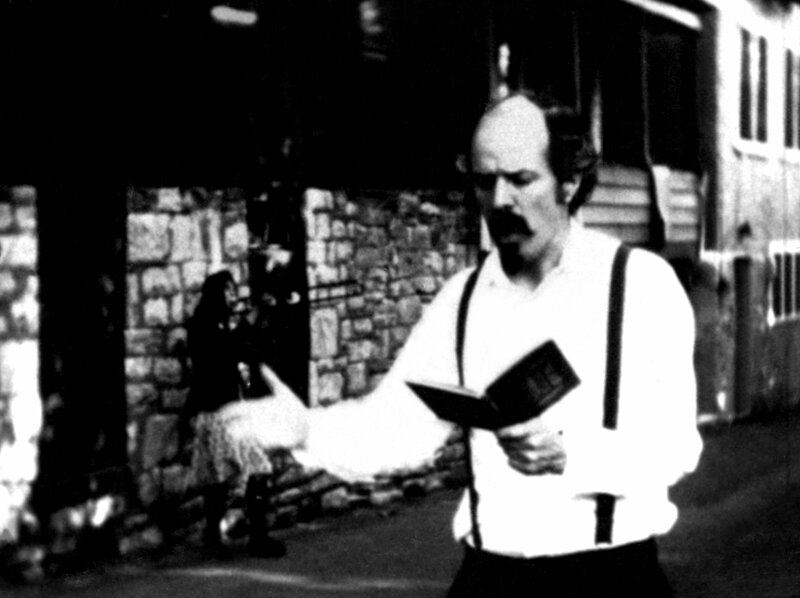 Schlemowitz says that “Tombeau for Arnold Eagle is also a film for which location plays a role, as the camera moves in close-up over the 16mm film equipment from Arnold’s studio to leave a tactile impression of the environment of the studio,” superimposed over a still photograph of Arnold as a benevolent, stately ghost. The geography of Tombeau is thus both psychic and physical. These films are marked by a complex relationship to time and space. Unsurprisingly, all three filmmakers tell me that they were quite difficult to make. Livingston memorably describes the painstaking creation of Under Foot & Overstory from over 50 hours of audiotape, hundreds of photographs and over four hours of film as “like a slow motion heart attack.” Ramey’s approach to Yanqui WALKER and the OPTICAL REVOLUTION similarly left her with a massive amount of material and no obvious formula. She says, “I hemmed and hawed and freaked out, and edited and re-edited, and buffed and polished, and then roughed it up again. At a certain point I just had to be done, and so I was, and that was a good thing!” Schlemowitz tells me, “Weimar was an exceedingly difficult film to conceptualize,” because of the challenge of compressing so many different times and places, all with their own baggage, with falling too much into cliché. For all three, the choice to shoot, edit and finish in 16mm added significant expense, time, unpredictability, and limited exhibition opportunities. An admission: as of this writing, I’ve seen most of these films only on DVD. I have no idea if that means anything. But as Livingston points out, it’s impossible to separate the complex temporality of these films – the way they insist on a blurring of past and present – from their materiality: they were made in a conspicuously old-fashioned, growingly anachronistic medium in a time known as “the digital age,” and I suspect none of the filmmakers are especially thrilled about the fact that they are seen most viewed as video. As Schlemowitz points out, the 16mm film’s simultaneous existence as object (the print) and as idea (the art) parallels the way these four films stubbornly belie the boundaries between real and imagined places. – Penny Lane, February 2011.